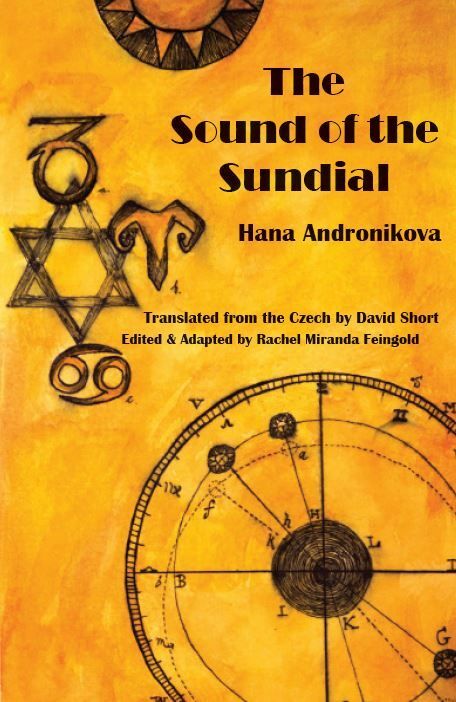 Any list of the top five Czech novels since the fall of communism should include The Sound of the Sundial by Hana Andronikova. This epic love story takes us from pre-war Czechoslovakia to India and then back into the maelstrom of Europe during World War Two, as the young Czech-German engineer Thomas and his Jewish wife Rachel are swept on the tide of twentieth century history. Now for the first time this powerful and moving novel is available in English translation. David Vaughan spoke to Rachel Feingold, who edited and adapted the book for publication in the United States. 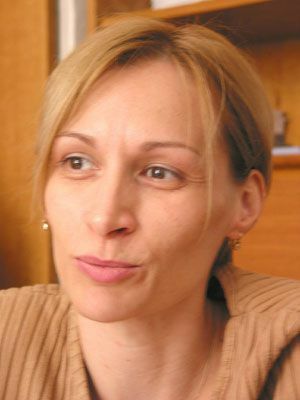 Hana Andronikova’s career was cut short tragically in 2011 when she died of cancer at just 44. She was not a prolific writer, producing just two novels, several short stories and a handful of plays, but her literary talent was immense. The Sound of the Sundial was a bestseller from the moment it first appeared and it was one of the first novels in the period after the fall of communism to deal with the complex and ultimately tragic interaction of the Czech, German and Jewish elements in Czechoslovakia before World War Two. The book has just been published in English by Plamen Press, thanks to the hard work of American editor Rachel Feingold. I met Rachel in London, on her way back to the US from a trip to the Czech Republic, where she had been meeting people who knew and worked with Hana. She began with an extract from The Sound of the Sundial. “This is an excerpt from near the beginning of the novel. The two main characters are Thomas and Rachel Keppler. Thomas is a building engineer working for the Baťa shoe factory, which was an enormous company which began in Zlín in Czechoslovakia and had spread to two other continents. Thomas is getting ready to be sent to India, where he is going to design more buildings. Rachel is his new wife, whom he’s going to have to leave behind while he begins his work in India. The scene is set in the early 1930s, around 1930 or 31. On the way home he couldn’t dispel his fear. It wasn’t Rachel he was afraid for; he knew she would cope without him. But he didn’t know how he would cope without her. Six months. Half a year. Now that he had said it aloud, his heart sank. Six months. How innocent it sounded. Why was he feeling so wretched? “I hope there won’t be any setbacks.” She half closed her eyes like a sorceress. She nodded. The spangles on her earrings danced. She opened a box of matches. Fishing out one redheaded stick, she dashed it against the flint. It sparked into flame between her fingers. Flashes from the earrings entered his eyes and began to circulate in his bloodstream. She lit the candles on the table. In the glow of the flames she looked like a goddess. A nymph. He could sense the molten wax against his skin. Hana Andronikova tells a great story, but at the same time her prose is very lyrical. That extract came from the beginning of the story, where you have the young couple embarking on their lives, full of optimism, hope and romance, but the story takes many turns in the course of this epic novel and there is much tragedy as well. Could you very briefly give us an outline of what happens? “It is challenging, because Hana Andronikova was very ambitious and took us really all around the world, but in a nutshell the book is bookended by a narrative of the son of this young couple, Thomas and Rachel Keppler. His name is Daniel and he’s the narrator of most of the story. So at the beginning and the end – and a little bit in the middle – we are with him when he is already a grandfather and finally putting together the pieces of his mother’s fate. Rachel, like most Czech Jews during World War Two, vanished during the Shoah and he did not learn her fate for many decades. And so this piece of the story bookends and intersperses the pieces that are in the 1930s and later. The other narrator of some pieces of the story is called Anna Vanier and she comes across Daniel in a coincidental setting, and they tell each other the pieces of the story that they were both missing. Anna was Rachel’s best friend in the concentration camps. So those pieces of the story are embedded throughout. The other fascinating thread is Thomas and Rachel’s life in Calcutta, which takes up a good piece of the story. “If I sound to you as if I’m jumping about in time it’s because that’s how the book itself unfolds and it’s very difficult to tell it going forward because it’s told going all around. One of Hana’s great gifts was to go deeply into people’s experiences in the way they might live them at the time, which is interspersed with their memories, and so the reader telescopes into and out of different periods of time in the narrative. And so, embedded into the story of Rachel and the camps, embedded into the story of Daniel and Anna, is also this wonderful piece about Calcutta and their life in India when Daniel was a small boy. The climate in Calcutta was made up of sunlight, water vapor, and columns of white ants. Mildew found its way into every nook, and the exterior wall of the kitchen looked like a mushroom farm. Rachel was amazed to discover that the pins and needles in the sewing kit she had inherited from Aunt Esther had turned rusty in only a few months, and the thread had shredded. Clothing, even of the stoutest material, disintegrated, and the carpets were in tatters. “You should put your clothes in mothballs,” she was advised. The crumbling books pained her the most. Frequently, after taking one off the shelf, she would find herself gathering it up from the floor, with just the binding left in her hand. India does not obsess over immortality. On the contrary: every Hindu yearns to attain moksha, liberation from samsara, the endless chain of birth and death. That passage is particularly moving, given Hana Andronikova’s own early death from cancer. The book was first published back in 2001. It won the 2002 Magnesia Litera award in the Czech Republic for the best book debut. At the time we spoke to Hana Andronikova about the book on Radio Prague. I think that Hana’s death in 2011 makes it so much the more important that this book has been published in translation, given that she is no longer there to promote it herself. I think we owe a great deal to you for the fact that this has happened. You never met Hana Andronikova, so has this process enabled you, in a way, to get to know her? When she died, Ondřej Hrab, who is the director of the Archa Theatre, said that he hoped that one day somebody would write a book about her.